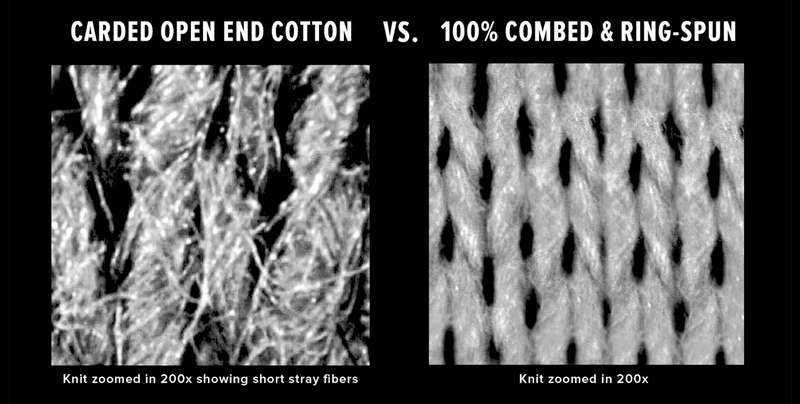 Do you know the difference between Airlume combed and ring-spun cotton, ring-spun cotton and carded open end cotton? For decades, BELLA+CANVAS has been providing the highest quality garments in the industry. But we’ve also tried to go beyond that and educate customers on why quality matters and what quality really means. That’s at the core of our motto to BE DIFFERENT, which is why we wanted to create this ultimate cotton comparison post. Whether you’re a screen printer or someone who is need of blank apparel, understanding the different types of cotton available in the industry is critical. 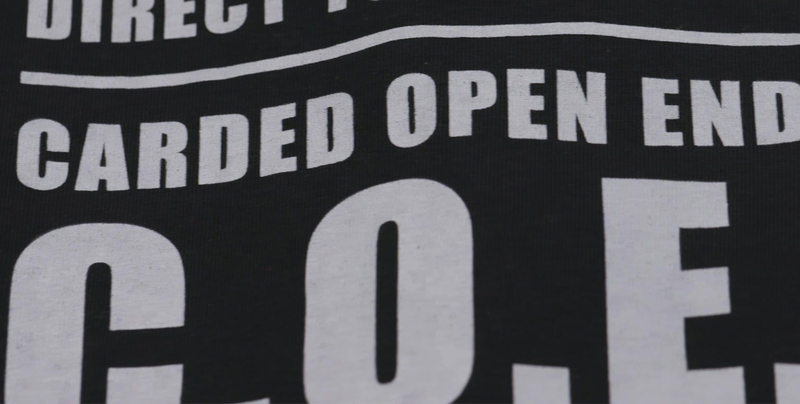 We teamed up with Shirt Agency to show how plastisol and discharge inks as well as a direct-to-garment print perform on three types of cotton. Carded open end is your scratchier, heavier cotton. It’s usually found in a cheap, promotional T-shirt, and you’d never find it in a retail store. 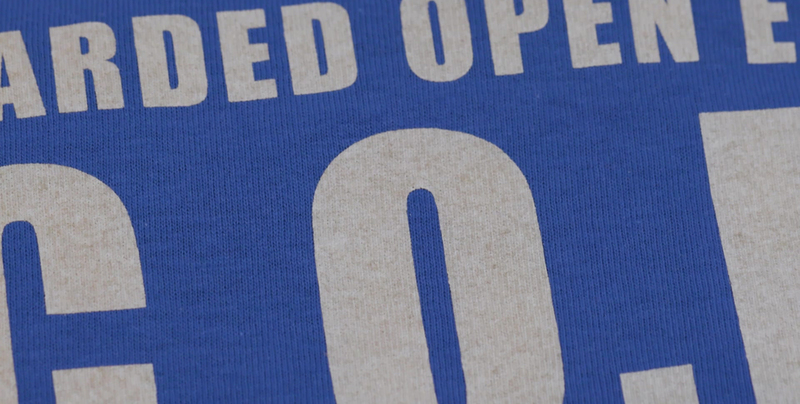 Not only does it not feel great to wear, carded open end cotton tees are also not ideal for printing. Keep reading to see results of the tees printed! 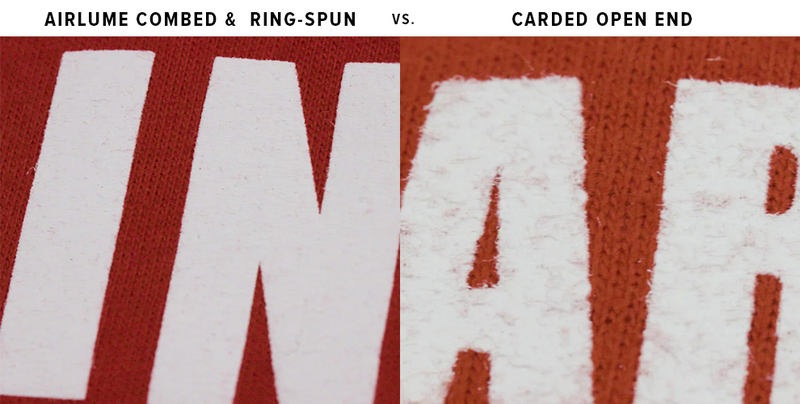 Standard ring-spun cotton is a step up from carded open end. The process used to spin yarn creates less stray fibers, but there are still impurities in the yarn. 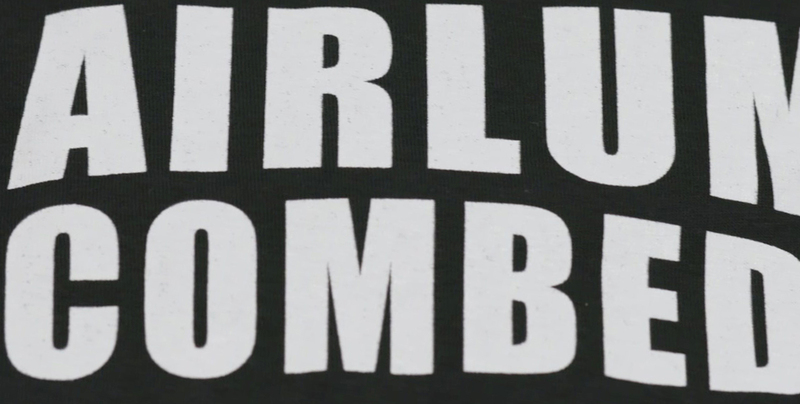 As we mentioned in our blog post about Airlume, any manufacturer can claim a combed and ring-spun cotton by combing out just one percent of impurities. And since there’s not much regulation in the industry, some manufacturers comb out impurities and then end up adding it back into the cotton before the spinning process so they get a higher yield. Last, but not least, there is Airlume combed and ring-spun cotton, which is the only cotton we use at BELLA+CANVAS. During this process, we only use long cotton staples and comb out more impurities than any other manufacturer. As we mentioned above, manufacturers can take out just one percent of impurities to call it combed and ring-spun, but we remove about 25 to 30 percent of the cotton we start with because it doesn’t meet our standards. Basically, what this process results in is the best feeling and printing cotton you can get. Now that we’ve broken down the differences in cotton, below you can see how each one takes prints differently. 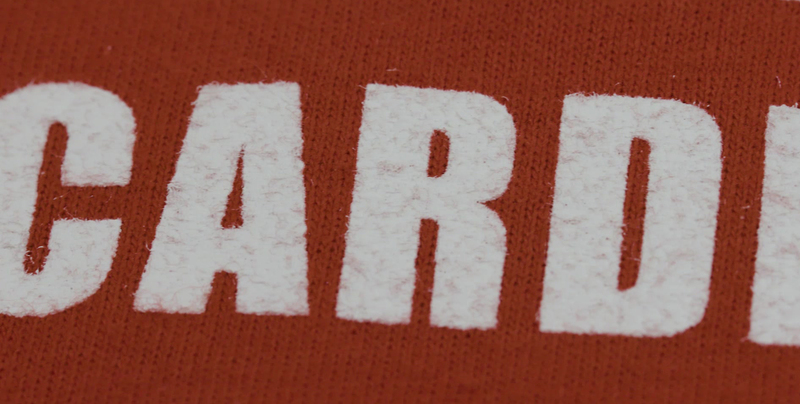 After screen printing with plastisol ink on a carded open end T-shirt, you can see the fibers of the shirt showing through. You can also feel the rougher finish. 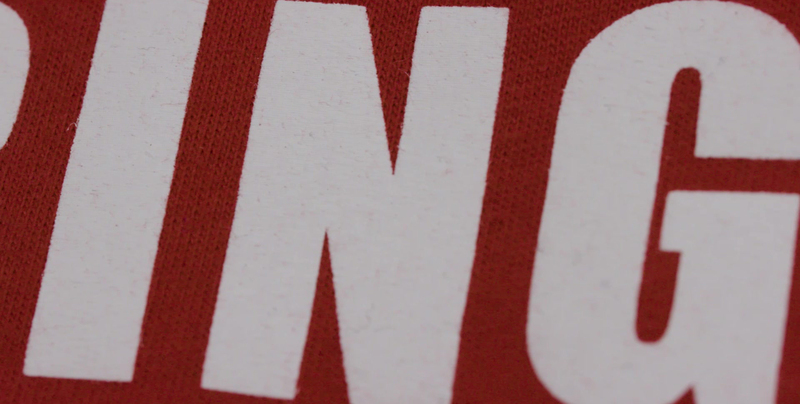 For standard ring-spun, the plastisol ink looks better than the COE, but since a lot of impurities are still left in most ring-spun cotton, you can still visibility see a decent amount of fibers showing through. 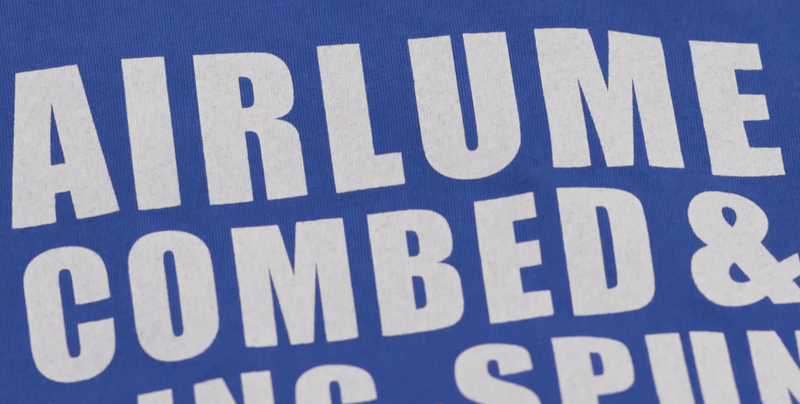 The Airlume combed and ring-spun cotton T-shirt had the best results with plastisol ink. The ink laid flat and smooth on the surface. 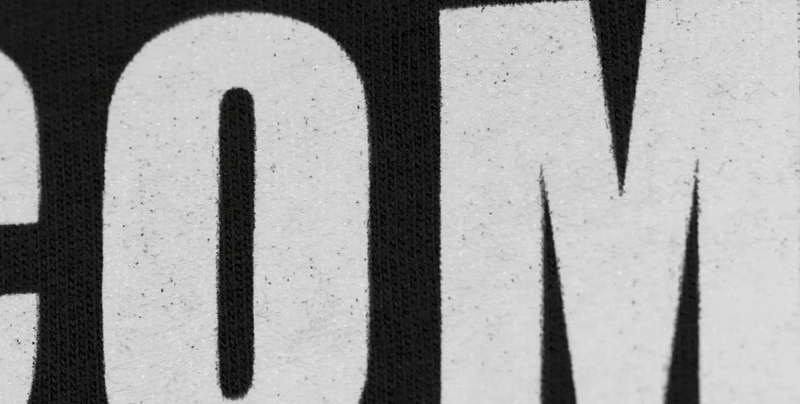 With plastisol ink, you just screen print the ink right on top of the garment. But with when using discharge ink, it actually removes the dye from the T-shirt. When screen printing with discharge ink, it’s not really about the stray fibers in the shirt, but rather the quality of the dye and base fabric. As part of our Airlume process, we eco-dye the fabric using seven times less water than any other manufacturer. We also never over-dye our fabric, and it’s all dyedlocally at several dye houses in Los Angeles. 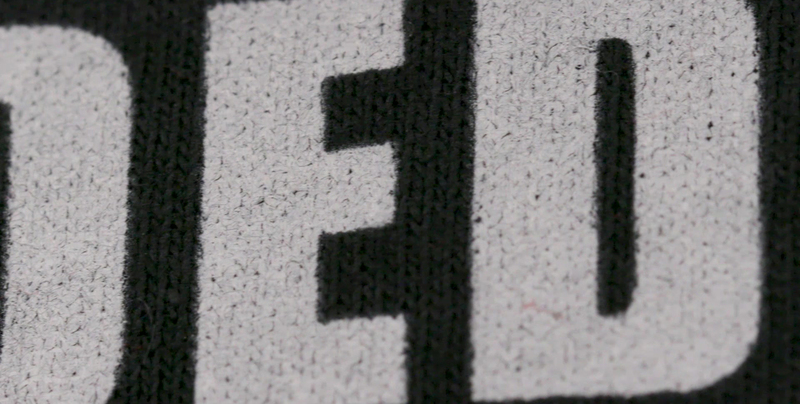 This allows for top quality control, so when you do use discharge ink, you get a clean, sharp result. In our test with Shirt Agency, the standard combed and ring-spun tee had similar results to the Airlume one when using discharge ink, except a little more of the blue dye showed through. 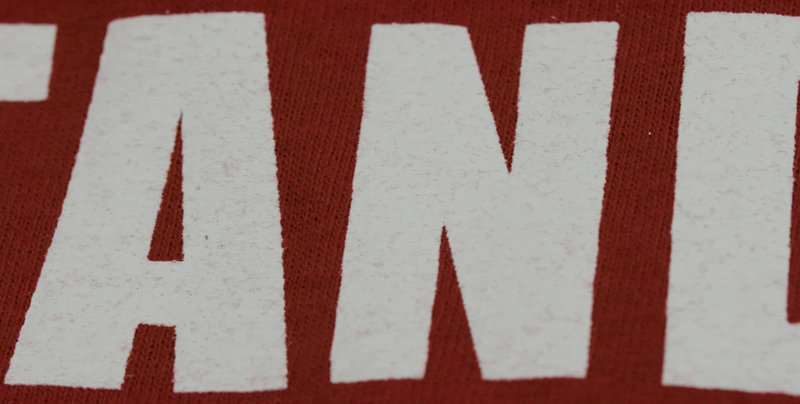 As for the carded open end cotton T-shirt, the discharge ink revealed an off-color, which most likely comes down to the quality of the dye. 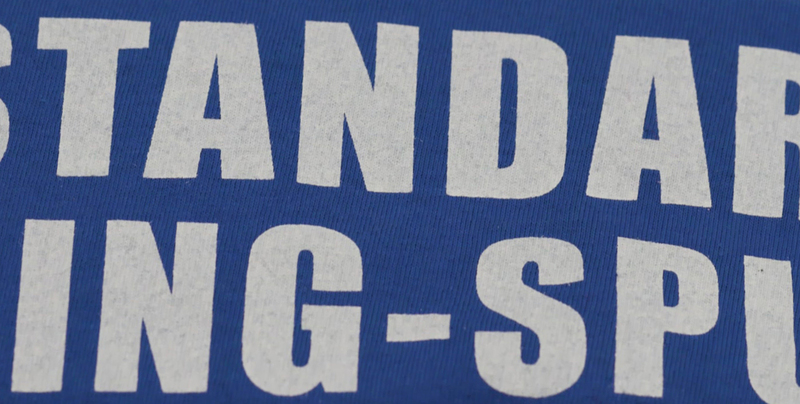 When it comes to DTG printing, the main issue you’ll run into is brightness of the print, which can be affected by the tightness of the weave in the fabric. 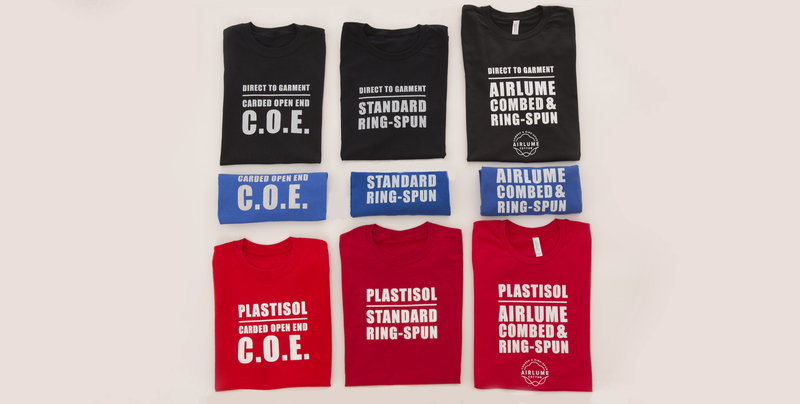 In our comparison with Shirt Agency, the Airlume cotton and standard ring-spun tees got very similar results with DTG. The main difference that was evident was with the C.O.E. tee, which resulted in a less bright print. Because the fabric didn’t have a tight knit weave, the ink fell into the fabric instead of laying on top.